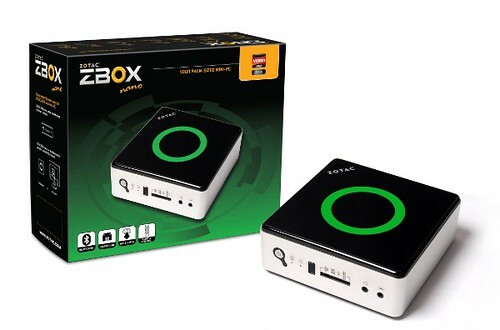 ZOTAC recently launched its new product – ZBOX AD10. Its compact and stylish nettop based on AMD E-350 APU and a Radeon HD 6310. Additionally box sports 320GB HDD, 2GB DDR3 RAM, integrated 802.11n WiFi, Bluetooth 3.0 and a pair of USB 3.0 ports. Good news for audiophiles. The AD10 supports Dolby® TrueHD™ & DTS-HD™ (Master Audio bitstream ready) over HDMI. So, it can be used as High-End HTPC. New ZOTAC AD10 is available at very attractive price – just $276! Together with XBMC it might bring your home theater experience to the new level!